What do you get when three New Yorkers spend a very New York evening out in New York? It’s not a trick question! Born and (mostly raised) New Yorkers, we often receive the age-old question: “Where we’re headed this Christmas?” Nowhere! All three of us usually stay planted right here. It is simple and complicated; it’s magical; and it’s so much fun. New York at Christmastime is buzzing with a unique joy, and I love how our already wonderful home is even more wonderful come December. My fondest Christmas memories are of those spent in my grandmother’s apartment, squeezed in like sardines, exchanging colorfully wrapped gifts under a towering tree—which was often too large for her small apartment, making it feel even more grand. Then there was that one year we lived on Long Island, and my mom went all out and surprised us with a white limo to drive us to the tree at Radio City. It was magic! It was New York. I’m partnership with my friends at kate spade new york, I took these dear New York friends for a magical evening out. We all wore kate spade new york and barely talked about our collective of six wild children (including one set of twins!). Alexa worked a leopard dress; Nicole wore cigarette pants, a scarf, and kate spade new york pumps; I wore a kate spade new york skirt with their signature taxi bag and earrings. 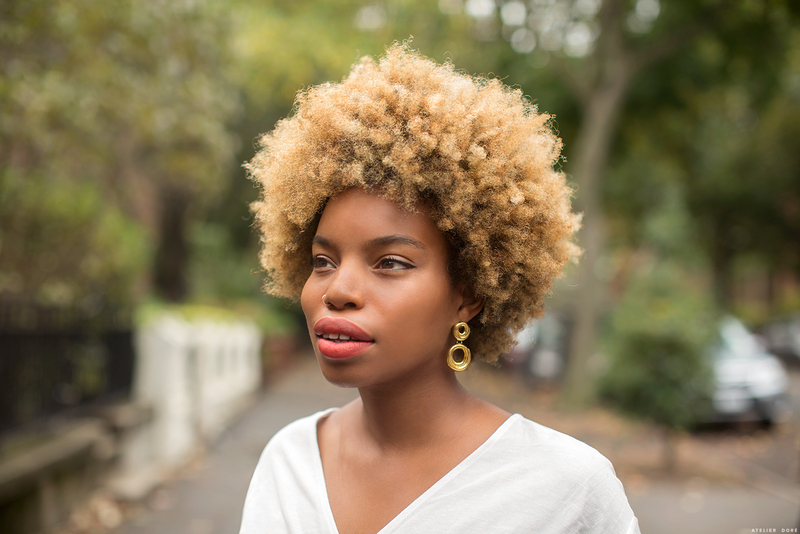 We started the evening squeezed in my Brooklyn apartment, the pink glow from the shower curtain reflecting off of our faces, flipping her and picking fros. There was a blow dryer and lipstick and mascara, too. My kids peeked in, and Oak in particular had questions about the tights we were wearing. River wanted my taxi bag for herself, and when it was time for us to pile into the limo, my kids got a sneaked one last peek before we sped off. Neon lights surrounded us in the limo. It was loopy and silly and joyful. We played ridiculous music and watched as the skyline came in and faded out. It was warm that night, the breeze blowing and the bridge lit up. I rolled down the window, and people standing in line at some East Village club suggested they’d hop in, too—because that’s what New Yorkers do. I mean, at one point in my life, I would have let them in. This night, we drove on. What I love most about everything we wore was how we could each adapt the pieces to our personal style and unique stories. Even though we all come from different parts of the city, we all enjoy it in the same way, and especially at Christmas time. We waeved through the East Village and stopped at any corner wildly glowing. We held hands and skipped and laughed until our stomachs ached. We talked about old flames and I think I yelled “Merry Christmas, ladies!” one too many times. When the evening wound down, we stopped into a photo booth and had cocktails by the bar. When I think about Christmas in NYC, all I can think about is how good it feels to be home. And how since home feels like magic every day, at Christmas, it’s just better and brighter.